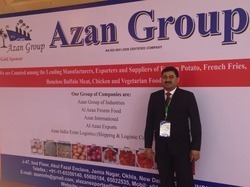 Founded in the year 2013, “Azan International", are a renowned exporter, manufacturer & supplier of an exclusive assortment of Frozen Meat & Vegetables. 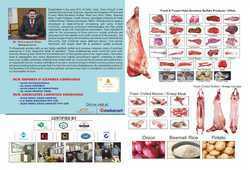 Our products are Buffalo Offals, Frozen Buffalo Meat, Buffalo Forequarter Meat and many more. We provide our customers with the best and most hygienic fresh and halal buffalo meat that are unparalleled in terms of quality and safety. We ensure that all products are freshly packaged to keep them fresh for a longer time. Our company has all the necessary machines for faster packaging. The complete process requires the great amount of skill and industry knowledge. In addition to this, our organization has experienced team members, who have years of experience in this domain. Moreover, products offered by us have a unique & authentic flavour, that matches the tastes of our esteemed customers. 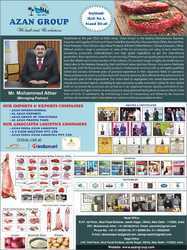 Established by our team of Mr Mohammed Ather (Chairman & Managing Director), these products are provided in varied packaging options as per the diverse requirements of clients and are available from us at market leading prices. 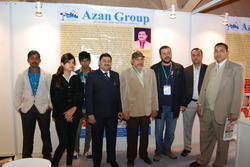 Award function at Azan International. Quality is to us, is of high priority. Thus we process this range of product, in compliance with the set industry norms and guidelines, utilizing the finest ingredients and modern machines. 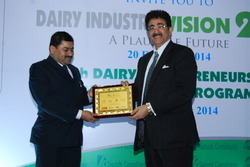 Because of this, the offered products have commendable health benefits, superior taste and high protein content. Post processing, the products are sent for several rounds of quality tests, where they are closely examined by skilled and equipped professionals. These professionals, with high precision, eliminate, any and every problem in the product. Azan Group is widely known to have a team of highly skilled and experienced employees, who direct all of their energy and efforts, towards attaining of organizational objectives and goals. These employees are hired based on their willingness to work and ability to handle tough situations. 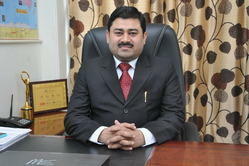 For the reasons of attaining better management of the team, it has been parted into several highly operational units. 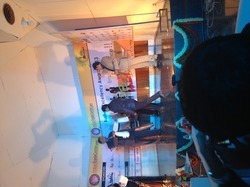 The division of these employees, is done on the basis of their expertise in specific vocations. The state-of-the-art infrastructural facility at Azan Group, has been laced with all the necessary machinery and equipment. This helps us in the attainment of several of the firm’s goals and objectives, in the most efficient manner. 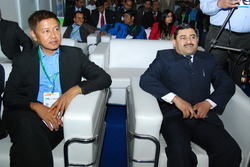 For the purpose of maximizing the firm’s presence in the market, the facility goes through regular up-gradation. For attainment of smoother and finer management of the firm’s operations, our infrastructure has been parted into several highly operational units, lead by skilled and experienced professionals. We are widely known to be amongst the leading manufacturers, exporters and suppliers of this impeccable and diverse range of Buffalo Meat and Buffalo Offals. In order to provide the finest to our clients, we engage in the utilization of the finest ingredients, as per the set industry norms, for processing this product. Because of this, the offered range has commendable health benefits, superior taste and high protein content. In addition the product has its quality highly standardized. This reasonably priced range, packed in a commendable manner and delivered in a timely manner, makes us one of the first choices.